Superior capsule reconstruction (SCR) is a relatively novel technique to restore shoulder function and provide pain relief to patients who suffer from very large and often chronic and neglected rotator cuff tears. In these cases the rotator cuff damage is so extensive that inadequate rotator cuff tendon tissue remains to allow for a conventional rotator cuff repair. Up until recently, patients with this type of rotator cuff problem had few options for treatment and those that did exist were often viewed as unpalatable. Surgeries included extensive rerouting of muscle and tendon units from the upper back around to the shoulder to help regain some elevation and rotation movement. This sort of tendon transfer was maximally invasive and the results were generally unsatisfying. 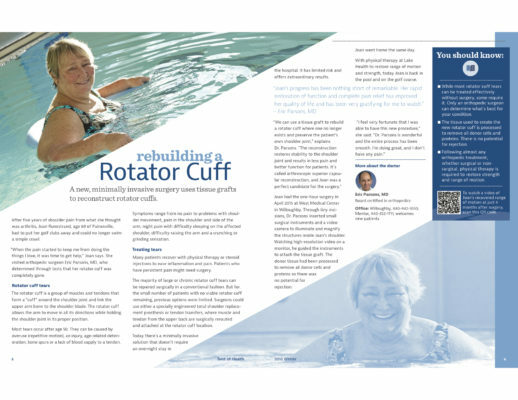 Alternatively, patients have been seen as candidates for a type of total shoulder replacement called a reverse shoulder replacement when they suffer from rotator cuff deficiency. While this procedure can provide improved shoulder function and pain relief, it involves replacing the bone and cartilage in the shoulder with a large metal and plastic prosthesis. This was considered unattractive as it involved replacing joint surfaces in cases where those surfaces remained in good condition and there have been concerns about the long term outlook for patients who undergo this procedure as the metal and plastic components have a finite lifespan. What is more, complications that occur following reverse shoulder replacement can be devastating with no further salvage options. SCR was devised as an alternative to these options and it involves transplanting tissue from a cadaveric tissue donor into the area where the rotator cuff normally resides. The donated tissue is treated in a way that removes all donor cells and DNA such that rejection cannot occur. The implanted material substitutes for the lacking rotator cuff and keeps the ball of the shoulder joint properly seated in the socket. This allows the larger muscle of the shoulder called the deltoid to elevate and rotate the shoulder. 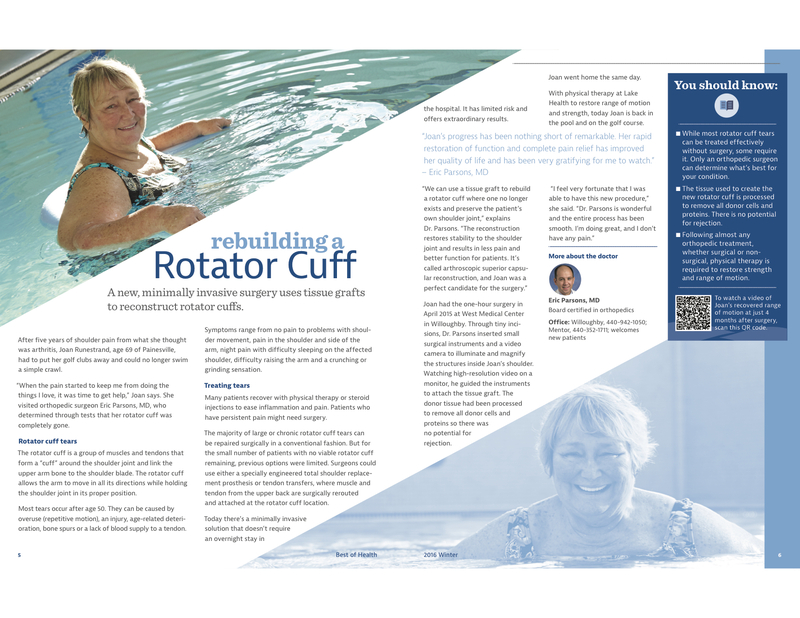 The SCR procedure is performed entirely arthroscopically as an outpatient and is viewed as a game changer in the management of the most severe forms of rotator cuff tearing. 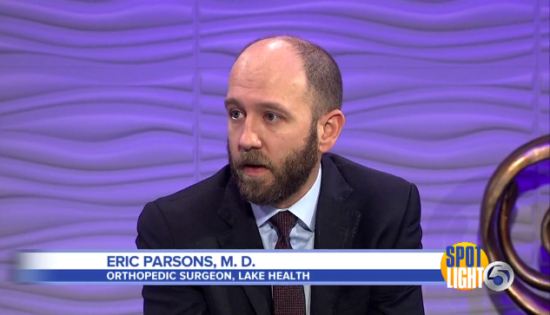 Dr. Parsons performed the SCR procedure in all of Northeast Ohio and has one of the largest series of SCR cases nationwide.